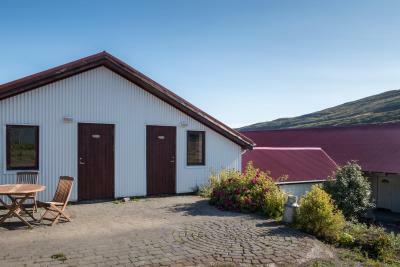 Lock in a great price for Country Hotel Heydalur – rated 8.9 by recent guests! The restaurant at the hotel was surprisingly good, the waiter at the restaurant was very nice and genuine. He had added some value to the hotel! The hot pools were amazing. The staff was extremely friendly. The food at the restaurant was delicious. The seclusion, the hot pots, the two dogs. We upgraded to the larger room which I recommend. Quite a bit larger and newer. 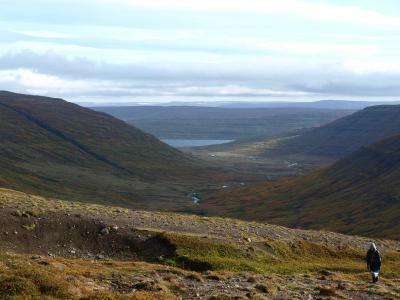 Hiking is wonderful, the remoteness is invigorating. Dinner was exceptional and very good value by Icelandic standards. What a lovely spot to spend a couple of days or longer. 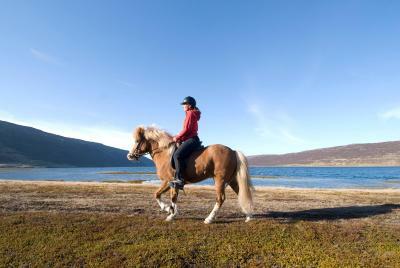 There are opportunities to hike, kayak, and ride horses, all within a beautiful landscape. The summer staff are exceptional, and one of them took me on a very enjoyable horseback ride, very attentive to make sure I got what I wanted out of it. The food was just excellent. This was by far one of our best experiences with a B&B anywhere, and we have traveled the world, and been to many. The natural hot spring on the property was amazing, as were the several hot spring pools and tubs they had constructed. Our children absolutely loved the indoor pool with the rope swing. The rooms were clean and comfortable, and the restaurant was adorable. 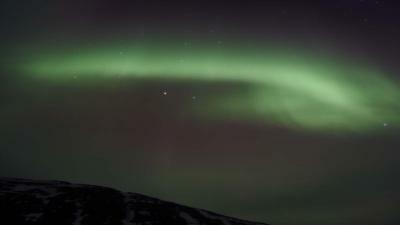 All while surrounded by a working Icelandic farm. The remoteness of the location added to the charm. A truly amazing experience! Nice room. Natural hot spring. Good, but remote location. Good food. Best place we stayed in Iceland. 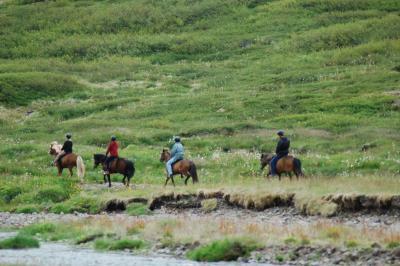 Fantastic food at breakfast and dinner, including freshly caught trout, great trail ride by a wonderful guide, comfortable room, and we loved the animals - a parrot, dogs, a visiting arctic fox family, and of course the horses! Beautiful site, nice staff, delicious food, parrot and visiting fox, natural hot pot in scenic valley. Would make a great spot for a family stay. Wish we had gone riding here! Amazing staff that got me out of a jam when I locked my keys in the car (turns out seclusion has its issues as well as its perks). Large breakfast and beautiful grounds. Wonderful location. The restored barn/restaurant was beautiful inside. The staff was friendly. Great property for taking a walk with the resident pup Loki and visiting the horses. They even have a fox that comes down for a visit. Dinner was a good value after some of the prices you pay elsewhere. 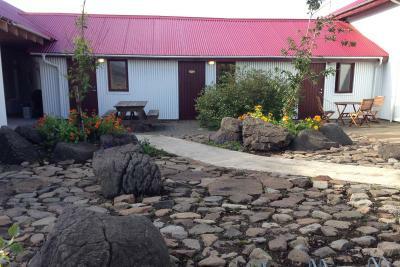 Offering natural hot springs, free Wi-Fi and an in-house restaurant, this farmhouse hotel is in Iceland’s wild Westfjords. 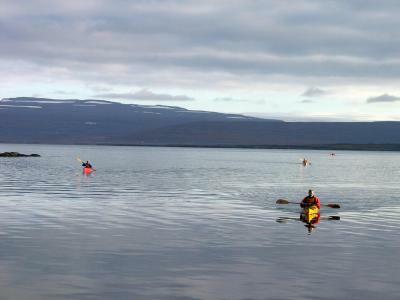 Súdavík village is within a 1-hour drive, with Ísafjördur town center only a further 30 minutes away. 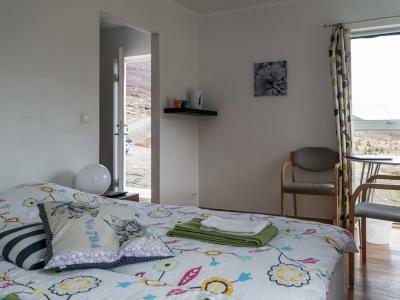 A seating area and a private bathroom are featured in the bright, basic rooms at Country Hotel Heydalur. All have access to an outside seating area, and some have mountain views. A sauna, indoor pool and hot tub are available on site. 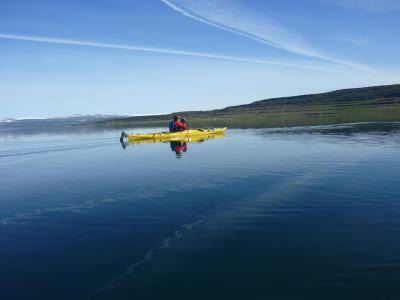 Kayaks and horses can be rented, and fishing is possible all year round. Staff can help arrange glacier tours. Local dishes are served in the restaurant, which is set in the old barn. Drinks can be enjoyed in the bar, while BBQ facilities are also provided. 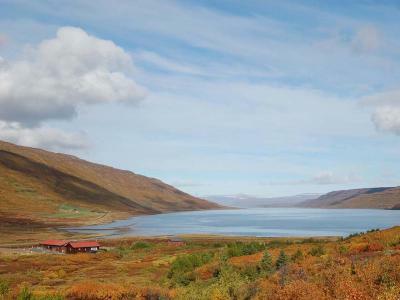 Vatnsfjördur Nature Reserve is within 12 mi of Heydalur Country Hotel. 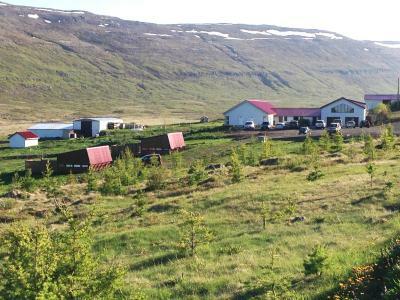 This property also has one of the top-rated locations in Látur! Guests are happier about it compared to other properties in the area. 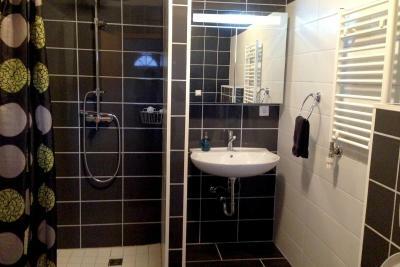 This property is also rated for the best value in Látur! Guests are getting more for their money when compared to other properties in this city. 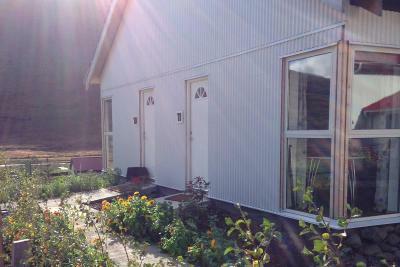 When would you like to stay at Country Hotel Heydalur? Bright and basic room with a seating area and a private bathroom. Some rooms have mountain views. 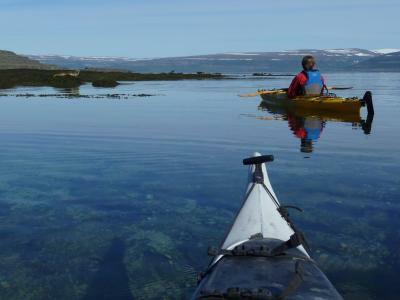 House Rules Country Hotel Heydalur takes special requests – add in the next step! Country Hotel Heydalur accepts these cards and reserves the right to temporarily hold an amount prior to arrival. Planned to stay for one night but decided to stay longer. We loved this hidden gem so much! It's off the beaten track in a beautiful and remote area. If we had the time, we would've loved to stay for a week! Stella is the most wonderful person and she, her dogs, the fox and the parrot were all very welcoming. We loved walking with the dogs around the valley and up the mountain. The hotpools are great for relaxing and soaking up the views. The breakfast and dinner were out of this world! So tasty! Our room was so clean and spacious! By far our most memorable stay in our 3 week roadtrip around Iceland! Location is totally incredible! Beautiful icelandic horses in the middle of nowhere. Mountain view was very nice. Natural hot tube nearby. We've got better room than we booked! they could have scheduled our visit with less wind and rain! :) Just kidding.. nothing about Heydalur we don't like.. Excellent and friendly staff and superb location away from crowds. Romantic natural hot tube within 10 min walk. Great food. Caring owner. Possibility to ride horses. And as a bonus ... artic fox nearby :). A little out-dated. The beds are very low and not that comfortable. The view from our room was of a bunch of junky stuff... not sure if we could have had a better view? We made our reservations at least 6 months ago. Breakfast was typically European, however, the eggs and bacon on the buffet were not good. This place is literally at the end of the road! Beautiful spot up in the top corner of the fjord so no view of the water, however, we did get to see the northern lights, so that was a great plus. Clean but very basic. The only thing we might mention is the grounds could be cleaned up a bit. I liked everything. The accommodations are slightly rustic, but that was fine with me. Be prepared to drive several miles on a gravel road. The food was excellant. The trout was very good. Breakfast also very good.